Posted on February 29, 2016 by Maya S.
Cheese is in the air, and the chants of “PB … PB … PB!” fill the room. There he appears, mysteriously dressed in a bee keeper’s mask and sunglasses. It is the world-renowned Pseudonymous Bosch, or PB for short! As he begins to talk of his travels as an adventurous author, we find out the secrets he has been holding back. Such as the secret behind the start of the Secret Series. 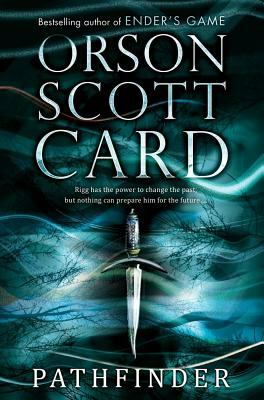 Have you ever wondered where the idea started or what inspired him to write the popular series? It turns out he was in elementary school when he wrote the first book. No, not enrolled in elementary school, but an adult volunteer. He participated in a pen pal program with a young student. Over time, Pseudonymous received stories and poems from his pen pal, and he felt bad that he wasn’t giving her anything in return. So, he decided to write a book chapter for her; however, he couldn’t figure out a title. He eventually realized he was writing a secret book and called it The Name of This Book Is Secret. He sent her the first chapter he wrote, but since the book was such a big secret, he had to censor the chapter to a series of XXXs. This, as you might imagine, was not the ideal first chapter of a book for his young pen pal. She wrote back admonishing him that he needed to write a real chapter. So he did, and she gave him helpful advice, or in Pseudonymous Bosch’s words, “very constructive criticism.” This continued, and before he realized it, he had almost written a novel. He had it published and dedicated it to his writing partner, May (aka WP May). The event continued with Pseudonymous Bosch cracking hilarious jokes and everybody laughing, even the parents. During the Q and A session, I learned that through a pen name, you can be someone completely different. 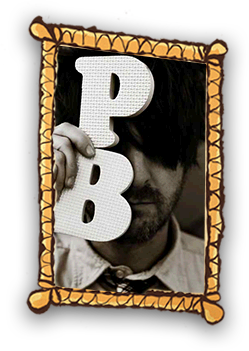 It must be frustrating at times for PB to have to seal away his identity; however, he does it well and has countless fans to show for it. So, kudos to you, Pseudonymous Bosch! We enjoy being entertained by you! Posted on February 18, 2016 by Maya S.
The year is 1942. The setting is New York City. Iris Anderson isn’t any normal teenager. With her dad in the detective business and her mom long gone, she has to fend for herself in her new school. But, as she grows older and starts to meddle in her dad’s business, things aren’t what they seem. Her dad was a naval officer who lost his leg during the attack on Pearl Harbor. But, now he is a private eye, specializing in missing persons. Her mom? She committed suicide six months ago. Iris left behind her rich, affluent life and is now in a dirty public school. A boy who attends Iris’ school ends up being the subject of a case her father is working on. Naturally, she investigates further. The kid is part of a group of gangsters she met on the first day of school. But how does she get close to them? She makes them her friends; but to do this, she lies. It is not long before they find out Iris’ true identity, and things get complicated. This book begins as the situation Iris’ and her classmates is nearing a resolution. Iris asks her dad if she can work with him. He puts her on her first case, but it ends up being bogus. Iris’ father can’t trust her, but there is something bigger at hand: her mother’s death. One day as Iris was checking around the house, she notices the safe is open. When she kneels down to close it, pictures of a dead body slip out. Iris doesn’t know what to do next. 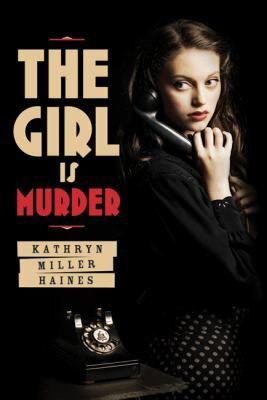 The two-part murder mystery series by Kathryn Miller Haines is one that I enjoyed. When I thought I had solved the mystery, the plot turned itself around to be something completely different. So, kudos to Miss Haines, for she developed a character who is rather unpredictable. I would definitely give these books a rating of 10/10! 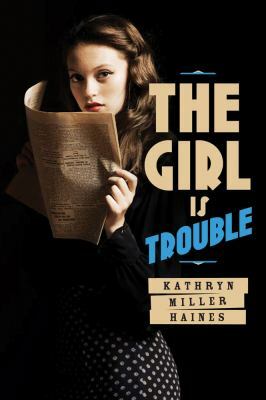 The Girl Is Trouble and The Girl Is Murder are available for check out from the Mission Viejo Library. Posted on February 11, 2016 by Nicole G.
Have you ever read a book where none of the characters speak to one another? 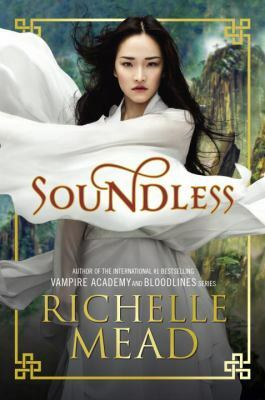 In Soundless, no one speaks in a little village atop of a mountain because everyone has gone deaf from mining operations. There are only three social classes on the mountain: artists, servants, and miners. If you don’t do your job, you won’t get meals. The only way the village survives is from food provided by zipline. There used to be a path that went down the side of the mountain, but that is impassable because of falling rocks no one can hear. To make things worse, the villagers are going blind as well, which can be dangerous in the mines. Then one day, an artist girl named Fei suddenly develops the ability to hear. With the zipline providing less and less food, the village is desperate for a miracle. The artist girl and a miner boy take a trip down to the bottom of the mountain, but what they find will change life in their little village forever. This book begins with a slight dystopian feel presented by its social class hierarchy. People are not allowed to marry out of their career choice, but this isn’t the main conflict of the story. As Fei and her friend climb down the mountain, there is a sense of adventure seen in fantasy novels with some romance mixed in. The ending felt a little out of place, but on the whole, it was just felt like a different book, incorporating Chinese folklore as well as how everyone communicated using sign language. A very interesting read. Posted on February 8, 2016 by Kelsey H.
Pride and Prejudice and Zombies is set to hit theaters on Thursday and the exploding media coverage on this spin of a classic tale has me questioning whether or not I should see the movie…and read the book. When I first heard of this strange idea for a book, I was immediately against it. I thought a classic could not possibly be transformed into a modern chaotic plot in any successful way. Especially one with zombies. I was not at all interested in reading the novel. However, both the book and the movie seem to bred quite a lot of hype. It has me thinking of reading and seeing how the story unfolds! I wonder if Jane Austen would be okay with her novel being twisted into a sci-fi fantasy. 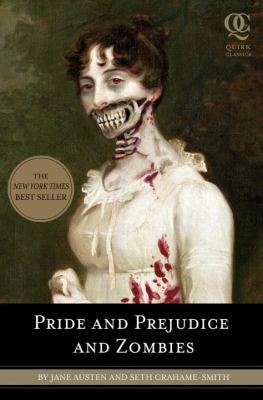 Part of me is now intrigued because a zombie meshing with a character such as Elizabeth Bennet would certainly make for a fascinating story. Especially now it is becoming more and more common to have a strong female main character. It appears that Jane Austen may have been ahead of her time with her creation of Elizabeth Bennet. This timeless female character is still cherished today for her bold and unapologetic spirit. Undoubtedly in the updated version, Elizabeth would be the one leading the charge against zombies. I have high hopes for reading this book. But I am also uncertain about opening its pages. 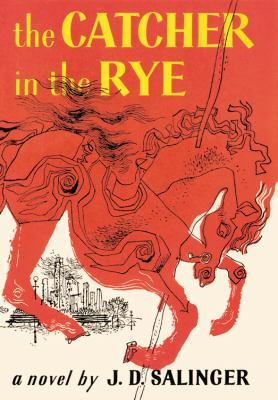 Will it bring a cool new edge to the classic novel? Or will I be left disappointed wishing zombies had never entered England? I am definitely willing to find out and I’m curious what reviews or ideas you all have regarding these books and movies. 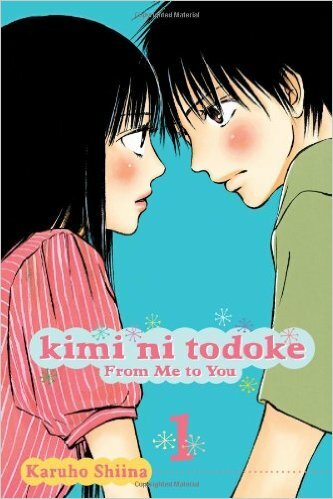 Posted on February 5, 2016 by Kayla H.
Kimi Ni Todoki is a manga about a quiet, lonely girl, named Sawako who finds it difficult to make friends with, until she meets a boy named Kazehaya. He’s one of the most popular people at school and instantly makes a connection with her. He teaches her on how to be more friendly with others, but people feared and misunderstood her because of her appearance; rumors around school report that she can see ghosts and curse people. Sawako later meets Yano and Yoshida, who become her best friends. She never dreamt of having friends, until she met Kazehaya. He showed to his fellow classmates that Sawako isn’t such a bad person. After Sawako made friends, her friendship with Kazehaya slowly developed into a romantic feeling. But what will be the result if someone else has her eyes on Kazehaya? Will Sawako and Kazehaya be together, or will something drive them apart from each other? This is personally my favorite manga ever, so I would rank it 10/10. It’s worth reading! Go check it out.